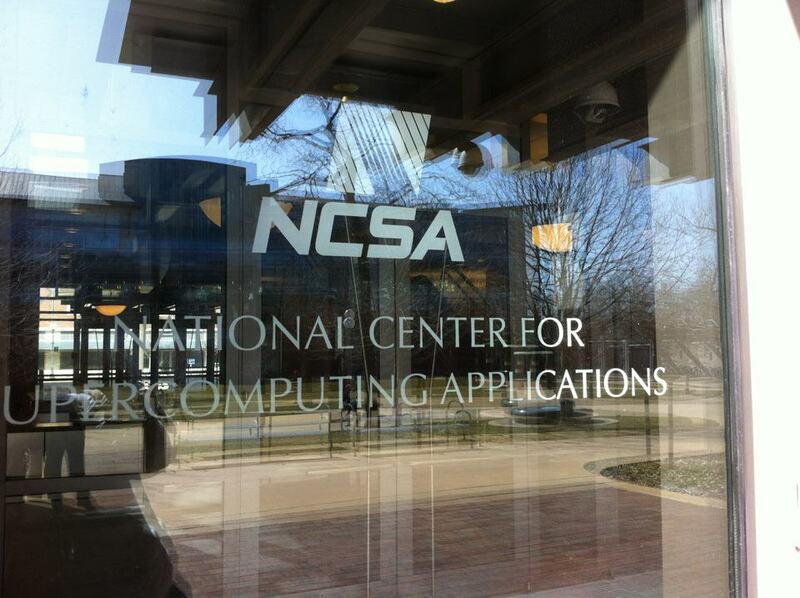 Posted on April 22, 2013 March 3, 2015 by Sarah R.
NCSA at the University of Illinois. Today, the IEEE Computer Society reported, via its Facebook page, on the 20th anniversary of NCSA Mosaic. This web browser, developed at the University of Illinois’ National Center for Supercomputing Applications, was distributed free of charge and its GUI interface was largely credited with sparking widespread interest in the Web. 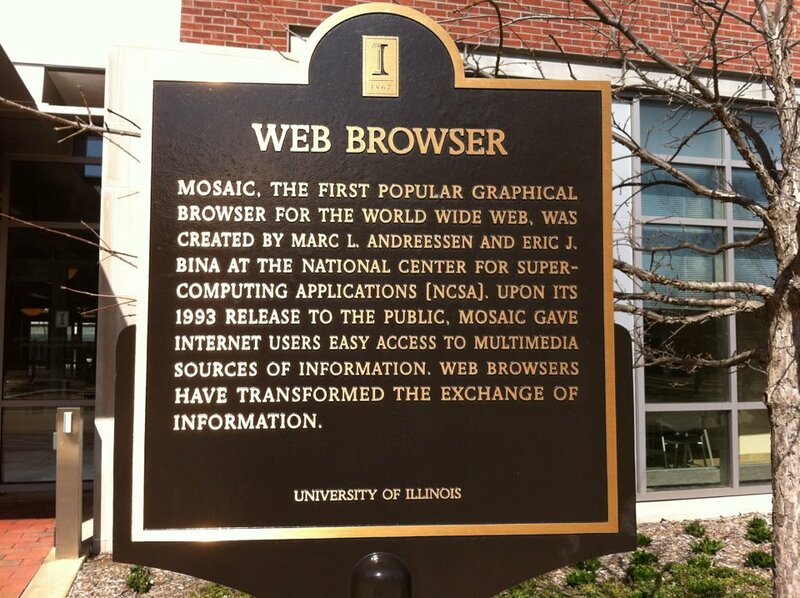 A plaque that commemorates the developing of NCSA Mosaic can be found outside the NCSA building on the University of Illinois campus. As I reflect on my own 20-year anniversary as an Internet user, and as an almost-grad of the University of Illinois myself, this story caught my eye. Indeed, I experience something of a rush every time I have occasion to go over to NCSA, where a decorative plaque commemorates Mosaic and its contributions to computing. 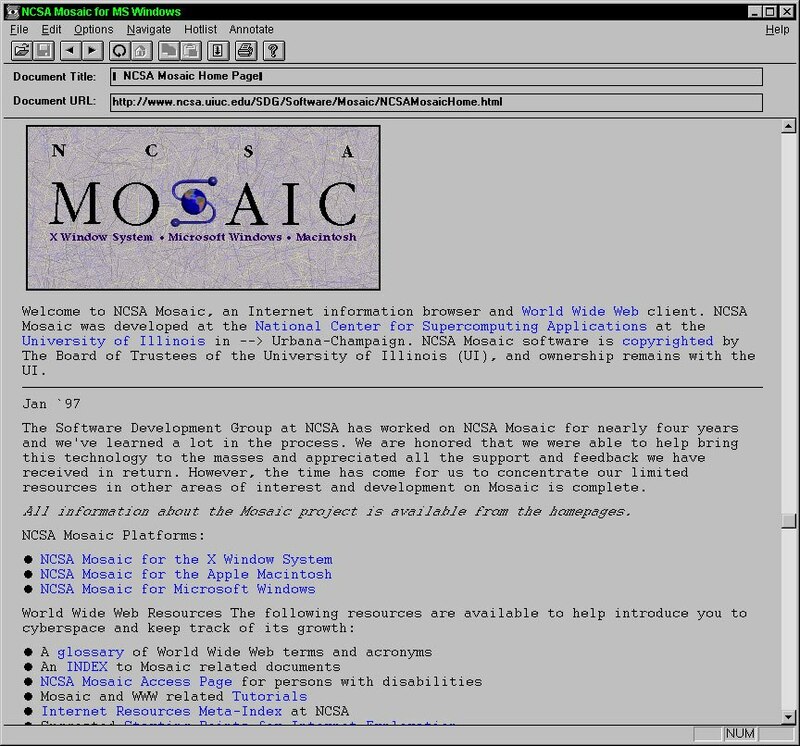 NCSA Mosaic, a GUI interface to the WWW. And the rest, they say, is history. Happy birthday, Mosaic.